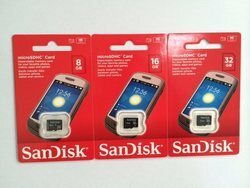 Pioneers in the industry, we offer sandisk micro sd card, memory card and samsung memory card from India. We have a team of highly experienced quality managers, who with their deep knowledge and expertise evaluate the quality of Sandisk Micro SD Card on the rigorous parameter to check its efficiency and high quality. With utmost precision, the offered card is manufactured by our qualified professionals using premium quality components and sophisticated technology as per the standards penciled by the industry. 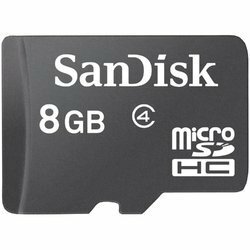 Further, this Sandisk Micro SD Card can be availed from us at discounted prices. 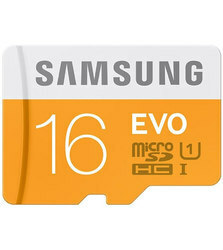 Being a quality and client centric firm, we have been engaged in supplying top grade Micro SD Memory Card. This card is manufactured using quality examined components by skilled professionals with the aid of sophisticated techniques. The offered card is used in cameras, mobiles and mp3 players for storing data. Apart from this, the provided Memory Card can be bought from us at industry leading prices.